HEBS Digital has received six Silver W3 Awards for website design and technology, and banner ad marketing in 2017. HEBS Digital, the industry-leading firm committed to helping hoteliers acquire, engage and retain hotel guests, is pleased to announce they have been awarded six Silver 2017 W3 Awards for revenue-generating website design, technology and banner ad creative design and marketing. 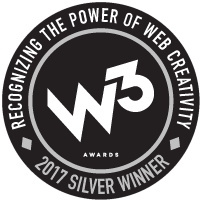 Now in its twelfth annual year, the W3 Awards recognize creative excellence on the web, including websites, online advertising and marketing, mobile sites and apps, video, and social. HEBS Digital is honored to be included on the list of 2017 award winners. Website: LUMA Hotel Times Square – Located in the heart of New York City, this boutique hotel offers brilliant hospitality with a website to match. Website: InterContinental Chicago – This luxurious Chicago hotel provides a seamless experience, online and off. Website: Tilden Hotel – Located in Union Square, this San Francisco hotel needed a website to align with its hip sensibilities. Website: The Maven – This downtown Denver hotel offers handcrafted hospitality alongside a curated digital experience. Website: Hotel ZaZa – These upscale boutique hotels in Texas needed a website to reflect their bold personality. Banner Ad: The Blackstone – As a new member of Marriott’s Autograph Collection, this iconic Chicago hotel wanted to show off its new look. 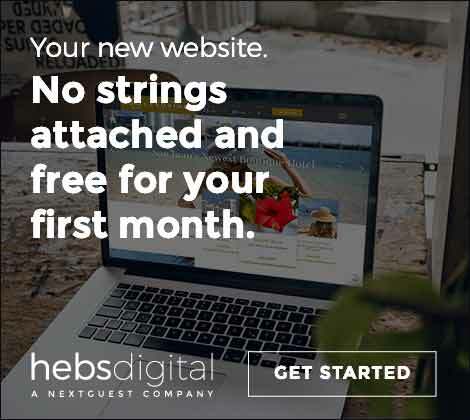 Innovating hospitality design and technology, HEBS Digital creates revenue-driving websites and marketing creative for its clients that help them continue to shift share away from the OTAs. Each website is backed by the award-winning smartCMS® website technology platform, which offers industry-leading merchandising capabilities, Smart Personalization capabilities, Reservation Abandonment Applications, and more. View HEBS Digital’s award-winning portfolio here. To learn more about the W3 Awards, click here. Founded in 2001, the firm is headquartered in New York City and has global offices in Las Vegas, London, Europe, Singapore and Auckland. Through its Smart Guest Acquisition Suite, including the smartCMS®, Smart Personalization Engine, Smart Data Marketing, and full-stack digital consulting and marketing solutions, HEBS Digital helps hoteliers drastically boost direct bookings, lower distribution costs, and increase the lifetime value of guests.